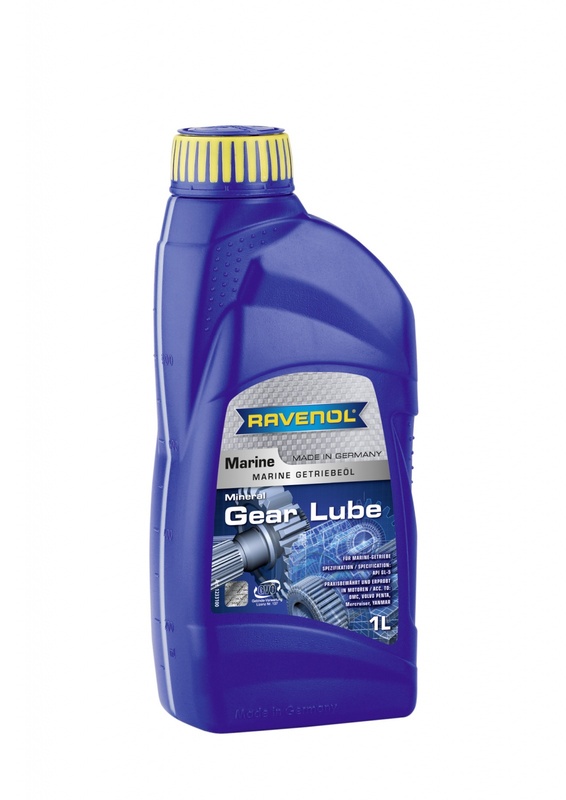 RAVENOL MARINE Gear Lube is formulated with high-quality base oils together with a balanced combination of additives to ensure high load-carrying capacity, wear protection and oxidation stability. The characteristics of good viscosity-temperature behaviour, low pour point and suppression of foam formation ensure transmissions operate smoothly and efficiently in all conditions. Added emulsifiers help protect gears should water enter the gear housing and improve oil film adhesion to gears and internal components. RAVENOL MARINE Gear Lube is a multigrade gear oil for use in both synchronised and non-synchronised manual transmissions in marine applications where a hypoid GL-5 transmission fluid is required. It is always strongly recommended that the Gear Oil be checked and replaced after every 50 hours of salt water use or at least before storage at the end of each season to prevent damage to the gearbox through water ingress through the propeller seal. A quality gear oil at a good price in an easy to use applicator.